Do you play? If not, why not? It's free. If you've ever heard of DoTA, it's the same concept with a much lower skill floor but still a relatively high skill cap. (ie, it's beginner friendly but good players still stand out) There's a tutorial mode within the game as well as the ability to play against bots if you wanna test something or try a new champion or even if you're just not comfortable against players. For those of you who do play... who do you main? I generally like playing heavy CC/AD off tanky/initiator. Been playing a lot of nautilus, but alistar/blitz/riven are up there too. I used to play on EUW, now I'm leveling an account on NA. I just hit 20, add me if you like, name is IMKNhurrdurr. I generally like to play AP or AD carry, main champs are Karthus, Ahri and Kayle. Learning how to play Master Yi recently, he's OP once you get fed a bit. 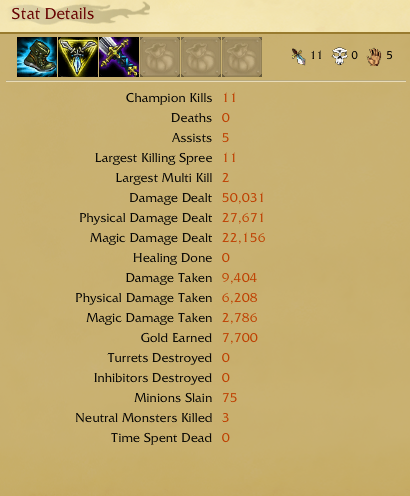 I just played jungle warwick for the first time... it was my first game with 0 deaths, ha. I play. I play a lot. I've been playing for about a year now. I don't main any single champion. I play with any new champ when I can. Though I do love to play as Singed. I tried out singed for the first time yesterday - I've seen so many people carry SO HARD as him I figured he would be fun. I play Singed as a suicide runner . All the mana. Poison for all, they get all happy. I have the Riot Squad Singed skin, so it's more of a tear gas. Makes it perfectly sinister. My most recent champ play has been with Karma. 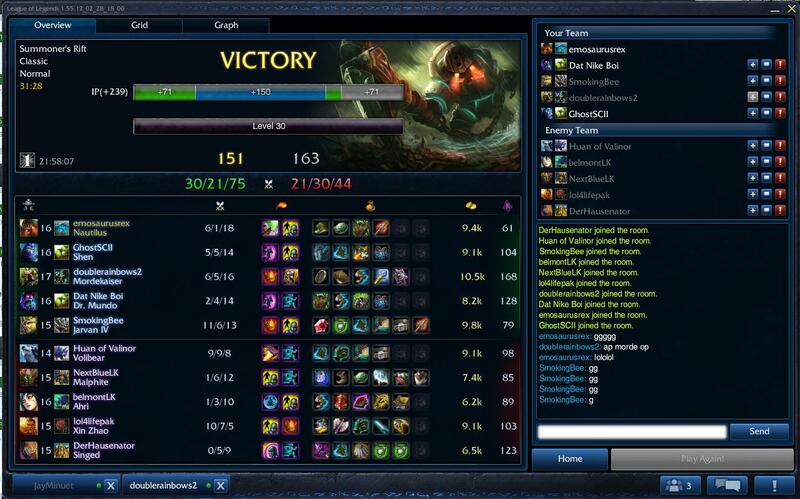 It's fun to mid lane her in a bot game and just support yourself to Ionia. I've been really exploring jungling lately. I love it so much more than being a carry. Ya'll should play with me. Like I said, it's free to play - there's a built in tutorial to help you out at first and you can play against bots until you're comfortable with players. Never posted my summoner name. Let's play five tanks, I jest. got a doublekill off of a ryze/gangplank bottom lane (lol) and continued to obliterate their entire team until they surrendered when we aced and knocked out their mid inhibitor at 18 minutes in. I've been meaning to buy Shyvana - I need a good jungle-tank. ATM if we're short a jungle I'm stuck as lee sin and playing with awful tanks that don't know how/when to initiate gets me pist quick. I don't even jungle with her, just toplane or bot if we dont have a ranged AD. How much HP do you end up with?